Pub afternoon and disco. residents are treated to a beer of their choice, wine, cheese and crackers and there is always a dance to go with it. 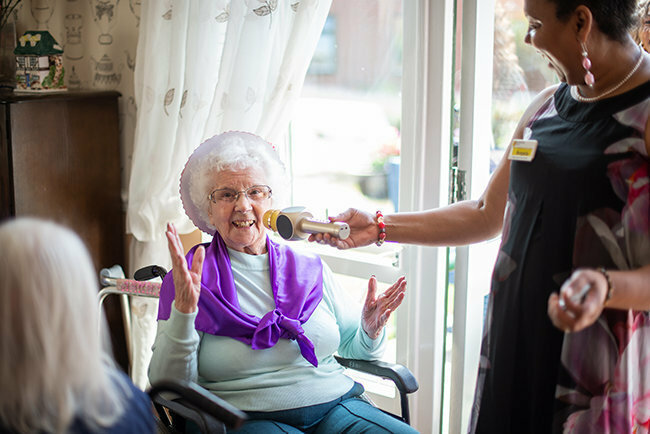 Coffee Morning and Thursday Afternoon is pamper time where residents and the community come to our bespoken pamper room for pampering and foot massages. Situated in between the villages of Bramcote and Chilwell in the Borough of Broxtowe, Bramwell is a spacious residential care home with 93 beautifully decorated bedrooms, en suite facilities and superb shared spaces. Read more about Bramwell by clicking here.